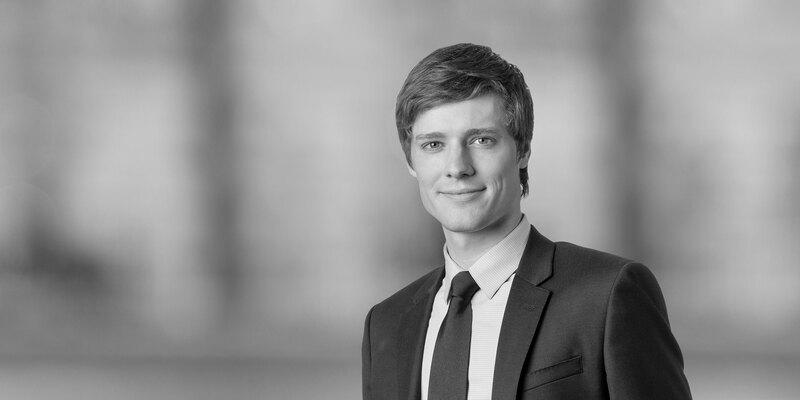 Erik Illmann, an associate of the Prague office, is a member of the Capital Markets Practice Group, having joined White & Case in 2015 as a legal intern while still studying law at the Law Faculty of Charles University in Prague. Before joining White & Case, Erik worked as a Legal Intern in the Banking & Finance team at PRK Partners. 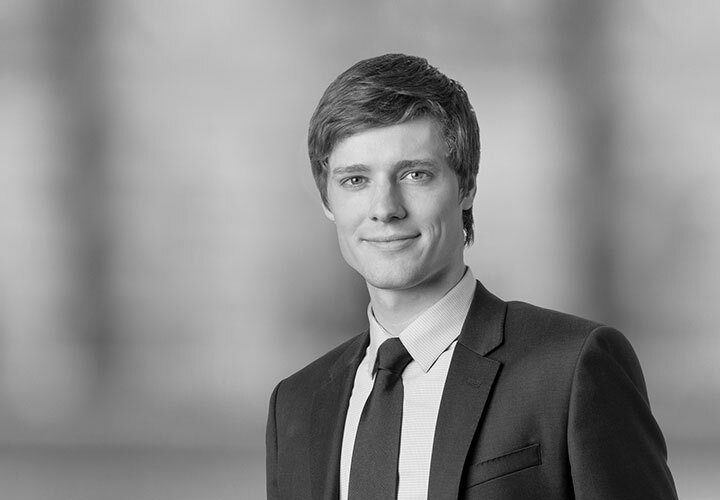 In the area of capital markets, he provides advisory services to a number of major clients of the Prague office, representing both underwriters and issuers in connection with a range of debt and equity capital market products. Erik also focuses on banking and finance law. Czech Railways (České dráhy), the Czech national railway transport operator, as issuer, in connection with its EUR 400 million Eurobond issue. ČD Cargo, a subsidiary of Czech Railways, on the issue and private placement of CZK 500 million bonds under its CZK 6 billion bond programme. NET4GAS, s.r.o., the sole owner and operator of the Czech gas transmission system, on an exchange and tender offer in respect of its CZK 7 billion (equivalent to approximately EUR 270 million) 2.25 per cent. notes due 2021 issued under its EUR 5 billion EMTN Programme and simultaneous issuance of CZK 2.6 billion (equivalent to approximately EUR 100 million) Czech-law governed 2.750 per cent. notes due 2025. The transaction partially refinanced the outstanding debt of NET4GAS, s.r.o. and prolonged its maturity profile, while keeping the total amount of the outstanding debt unchanged. The transaction represented a first-of-its-kind exchange offer involving an exchange of international notes (issued on the Eurobond market and cleared through Euroclear and Clearstream) into domestic notes (issued on the domestic market and cleared through the Czech Central Depository). EP Infrastructure (EPIF), a leading energy infrastructure utility primarily operating in Slovakia and the Czech Republic, fully owned by Energetický a průmyslový holding (EPH), a leading Central European energy group, in its contemplated initial public offering of ordinary shares and GDRs of EPIF, as well as the listing of the ordinary shares on the Prague Stock Exchange and GDRs on the London Stock Exchange. At a very late stage in the process, EPH decided not to proceed with the sale of a minority stake in EPIF via an initial public offering, instead considering a bilateral transaction with global infrastructure Investors. The estimated value of the contemplated offering by Reuters and the Financial Times was several billion euros. Česká sporitelna, a.s. and Komercní banka, a.s. as joint lead managers on the issue of CZK 1.1 billion (€42 million) floating-rate bonds due June 2023 by DEKINVEST, an investment fund with variable share capital, acting as investment manager of the sub-fund DEKINVEST podfond Alfa, and guaranteed by DEK a.s., a holding company of a leading group supplying construction products and services in the Czech Republic and Slovakia. The bonds are listed on the Prague Stock Exchange. Raiffeisenbank as issuer on the update of its €5 billion covered bonds programme. UniCredit Bank as issuer with respect to the update of its €5 billion English law-governed international covered bonds programme. UniCredit as issuer with respect to the update of its €5 billion English law-governed international covered bonds programme. Waberer's International, a major player in international full truckload transportation in Europe and market leader in Hungary in the field of domestic freight and complex logistics services, together with its shareholder Mid Europa Partners, on the Waberer's IPO and on listing of its shares on the Budapest Stock Exchange. The offering included both primary and secondary shares and its total size was HUF 24.7 billion (approximately EUR 79.6 million).